The new Enigma Fine Chocolates’ shop at Braddon specialises in creating artisan-style chocolate truffles, bars, dairy-free hot chocolate and unique items. Photo: Amanda Kelly Photography. Chocolate lovers can lick their lips with home-grown Enigma Fine Chocolates opening its first shop in Canberra and offering a range of handmade chocolates that are winning awards and delighting tastebuds. 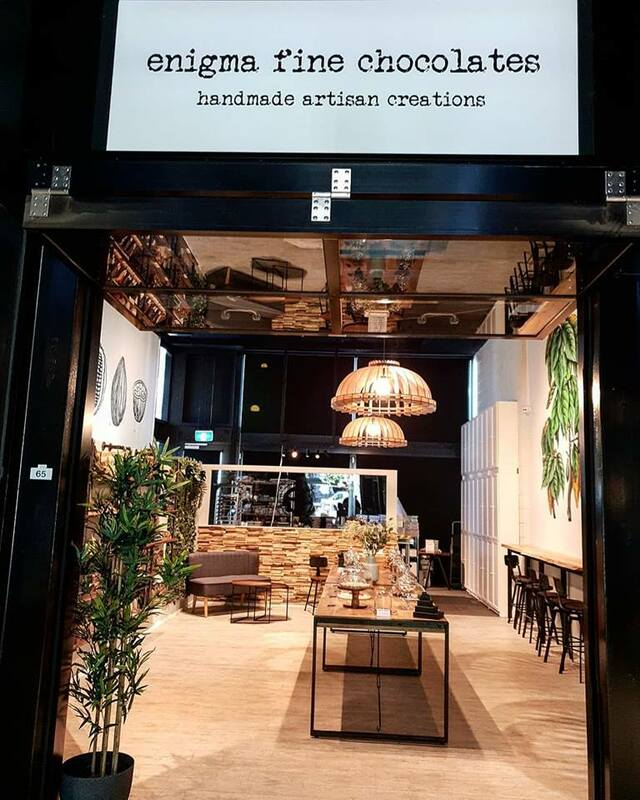 Starting out as a home business in Lyneham in June 2015, Enigma Fine Chocolates opened the doors to a shop in the Ori Building in Lonsdale Street, Braddon on March 27 alongside several other shops and cafes designed to serve “the sweet and decadent crowd”. 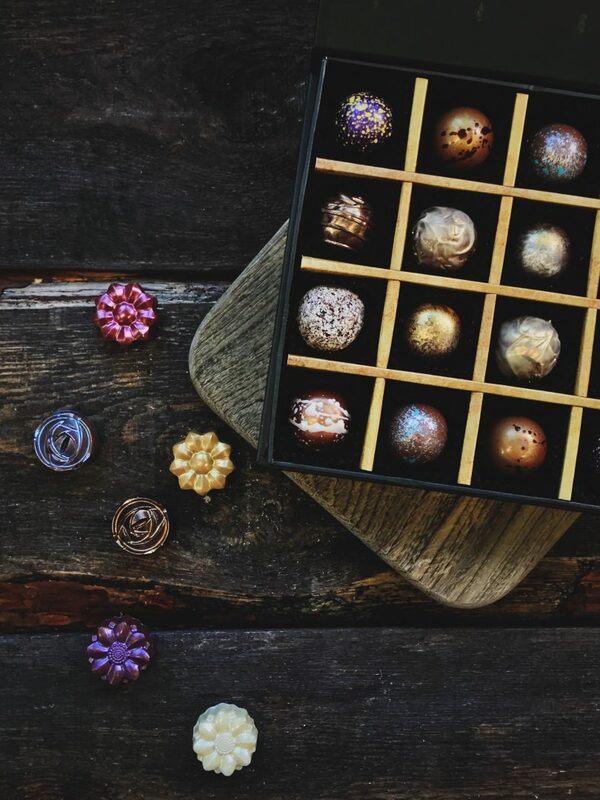 Business owner and chocolatier, Stuart Strutt-Shotton is looking to pass on his passion for chocolate with more Canberrans as he shares the philosophy that chocolate is an ingredient full of characters, complexities and stories, and not just something that coats a confectionery bar. His new shop is specialising in creating artisan-style chocolate truffles, bars, dairy-free hot chocolate and unique items using high-quality coverture chocolates from all around the world. Opening just in time for Easter, there will also be a range of six or seven different Easter products such as eggs coated in different flavourings and antique-looking bunnies. Enigma Fine Chocolates’ new shop at Braddon. Photo: Enigma Fine Chocolates. Stuart is a fully-trained chef who has been working with food since 2000 but began indulging his passion for making chocolate during a work stint in London’s Soho district. When he found himself back in Canberra he decided to start his own business, combining passion, effort and taste to make products that have helped him build a strong clientele. “For me, personally, it’s a very big passion,” said Stuart. Stuart uses 10 different varieties of chocolate, with fillings and toppings often determined by seasonality and a strong focus on using local produce from within the Canberra region and surrounding areas. He started out selling his chocolates at the Old Bus Depot Markets, then sold them at The Forage street food event and then the Handmade Markets at EPIC. From there he started supplying a shop at Parliament House and local hamper makers, as well as collaborating with the National Gallery to provide chocolate bars which resemble the ‘Blue Poles’ painting. The business has received numerous awards including the prestigious 2017 Australian Food Awards – Champion Australian small producer trophy and 2018 Best Chocolate/Best in Class award. With a solid reputation behind it, the next step was to open a shop and increase opportunities for Canberrans to buy the chocolates. Everything at the new Braddon shop is made on site. Photo: Alice Lau Photography. “Everything is made on site,” said Stuart, who adds that the first thing which impacts people when they come into the shop is the wonderful smell. Then it’s the beautiful displays of chocolate, which currently include an Easter sculpture. “It’s the sights of everything and it’s like a bit of an educational opportunity if people are happy to listen to the stories of cocoa. Stuart runs Enigma Fine Chocolates with the help of his fiance Adna Aliskovic (during her spare time), some input from their three young daughters and some casual staff. 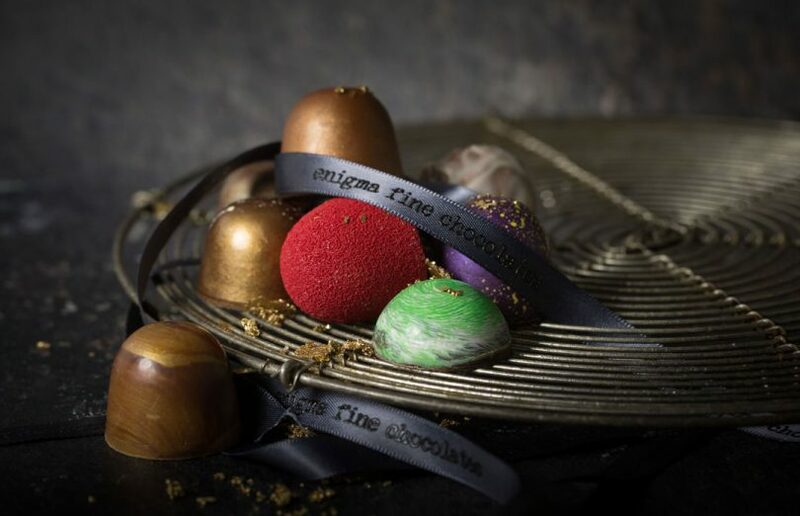 Enigma Fine Chocolates is located at Shop 65 in the Ori Building in Lonsdale Street, Braddon. It is open from 10 am to 5 pm on Wednesdays and Thursdays, from 10 am to 6 pm on Fridays, from 10 am to 3 pm on Saturdays and from 10 am to 2 pm on Sundays. The shop is closed on Mondays and Tuesdays. For more information go to enigmafinechocolates.com.au and to contact the store email info@engimafinechocolates.com.au. How long will it take to receive my speeding fine in Canberra?